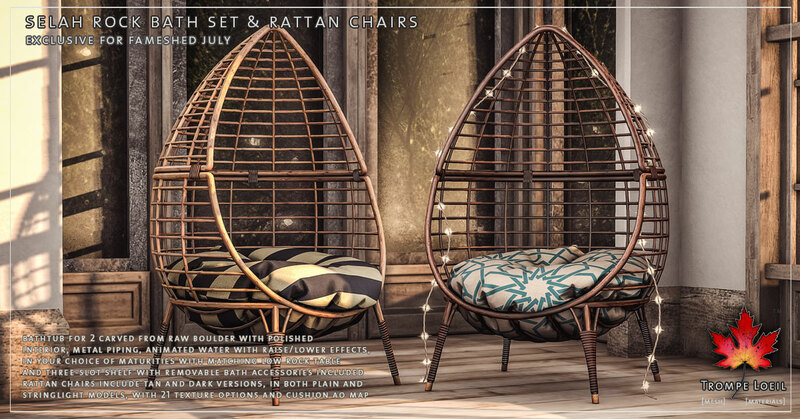 Modern or rustic, indoors or out – the Selah Rock Bath Set and matching Rattan Chairs for FaMESHed July are bold statement pieces like you’ve never seen! 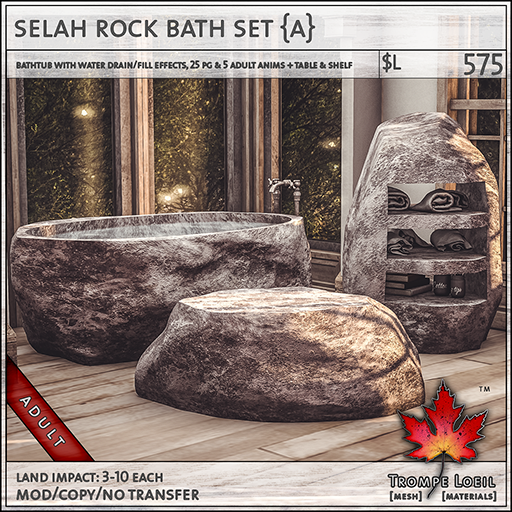 The Selah Rock Bath, Table, and Shelf are carved from rough individual boulders, with raw exteriors and polished interiors. 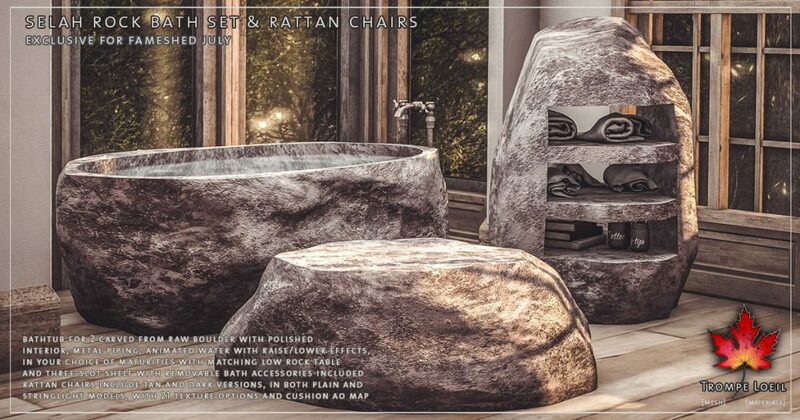 The working bath seats 2 with singles and couples animations in your choice of maturities, with water that slowly raises and lowers with a touch of the metal piping. 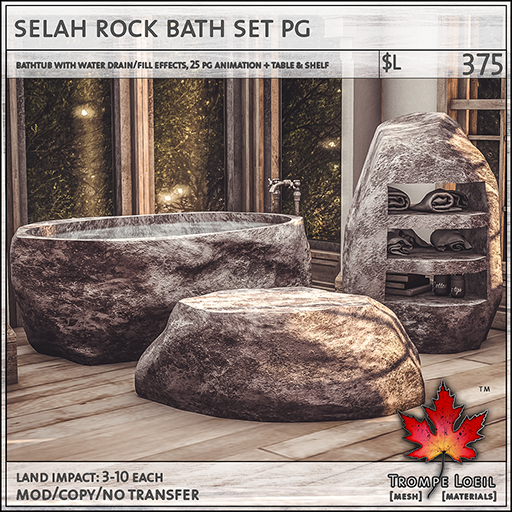 The accompanying low table looks great in any room or as a remarkable display piece for a store or business, and the three-slot shelf includes removable bath accessories to round out your room. 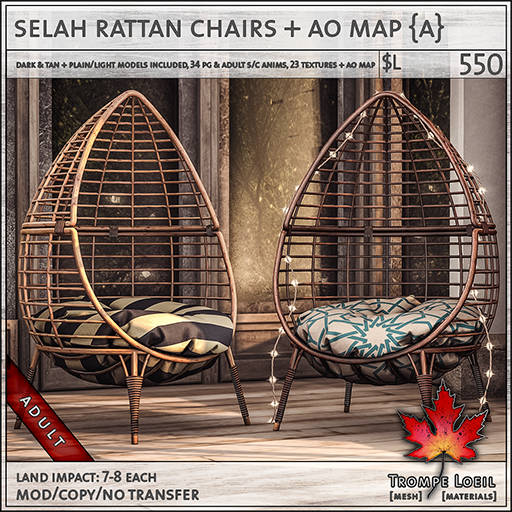 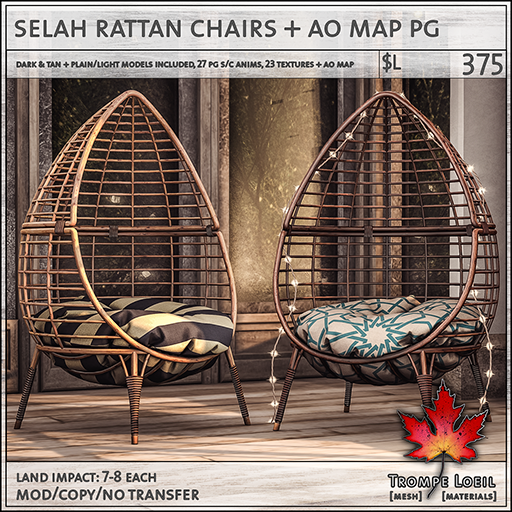 The Selah Rattan Chairs include tan and dark versions, in both plain and stringlight models, with 21 texture options for the cushion as well at the cushion AO map for creating your own patterns! Try them all out in person at this month’s FaMESHed round!